The pictures I am showing are of my 38" quilt. I can be overly critical because it's not your's. I can explain my errors in the comfort of knowing that I made them on my own quilt. Mostly, these are not huge "errors"; they are more a matter of personal pickiness, or cases where the stitching didn't turn out as symmetrical as I would have liked. Whatever the reason or excuse, it is frustrating me because each time I quilt the last couple days, it seems I make many hours of pickout too. This corner is actually coming along pretty well. My brown thread arrived yesterday. Then we got snow today, kids got school delayed an hour and my daughter ended up home today with an eye infection. As a result, not too much quilting. For the entire day, only the sections of curved cross-hatching on the brown. Oh, I say that, knowing that I did start on the center star only to realize it was going to have to be picked out because I hated it. Yesterday was full of ups and downs. Pros and cons. I DID manage to get the bottom 2 corners quilted. And I even like them. That's a definite plus. The downside, however, is that they (see below) are not exactly like the top two corner stars. Translation: Some Pickout Required! I decided that I like the single 1/4" of outlining on the inter-connected blocks (below) better than the double-line (above). That's a relatively quick and easy fix. I also decided that I don't particularly care for what I did on the 1/2" narrow border (above). 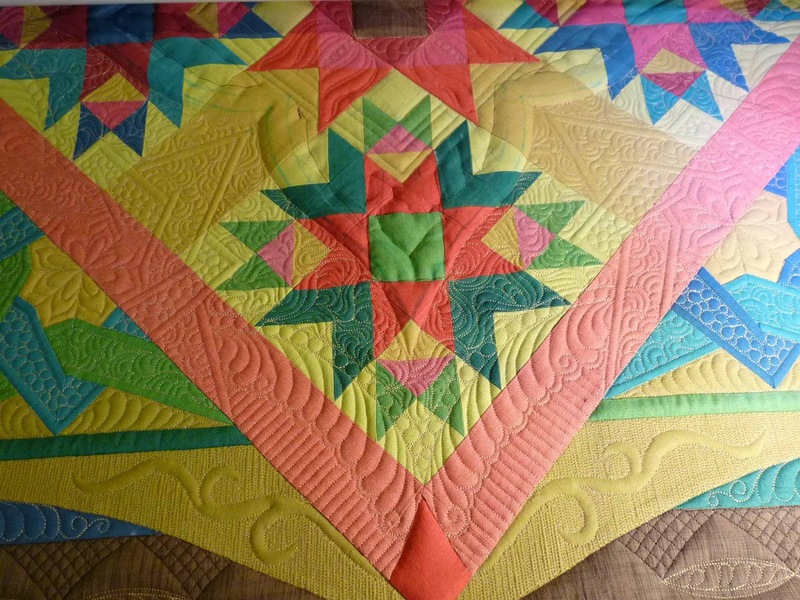 If I quilt on this at all, I will use a coordinating thread not the gold. I am always going to be my worst critic, and sadly, won't be completely satisfied until this looks right, even if my right is different from your's. Only a little bit of the center red star shows, but it's all coming out. I have been sketching away this afternoon trying to come up with something I like. I want motifs that I have repeated elsewhere to make it cohesive. That will come, and is by far and large the smallest of the quilt's demons right now. What I discovered last night is that the filler that I am putting on top of the pieced stars has distorted the lines of the piecing in a few locations. I didn't stabilize each seam before stitching the fill because I didn't want all those extra lines. But another quilter noted today that I could have done it initially with water soluble thread (insert whack of forehead!). It's not that it is an extremely huge area should I decide to rip it all out. Afterall, this quilt is only 38" square, but it is, Ah... (in my best nonexistent Maine accent) wicked tightly stitched. It would make me curse some fierce obscenities, and probably make me create some new bad 4-letter words. None the less, there may be no getting around it if I hope to have this in top showing condition. If you double-click on the next picture, and look at the lower left points of the star, you can see what I am talking about. That line ought to be straight. Though I have not posted in over a week, I have most definitely been busy. 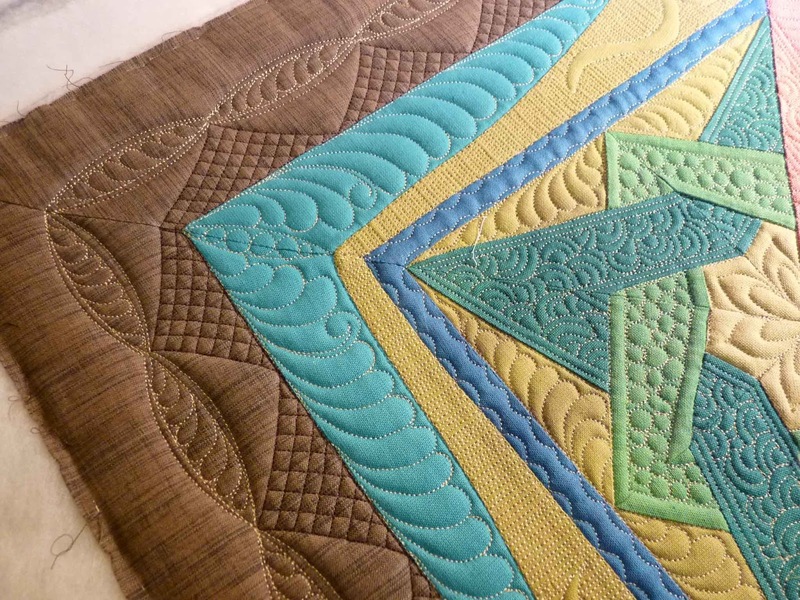 I have several quilts finished for my clients, and am now working on a small wall-hanging of mine. I'm really not at all convinced that I like this before the quilting, but I will finish it before I opt not to bind. 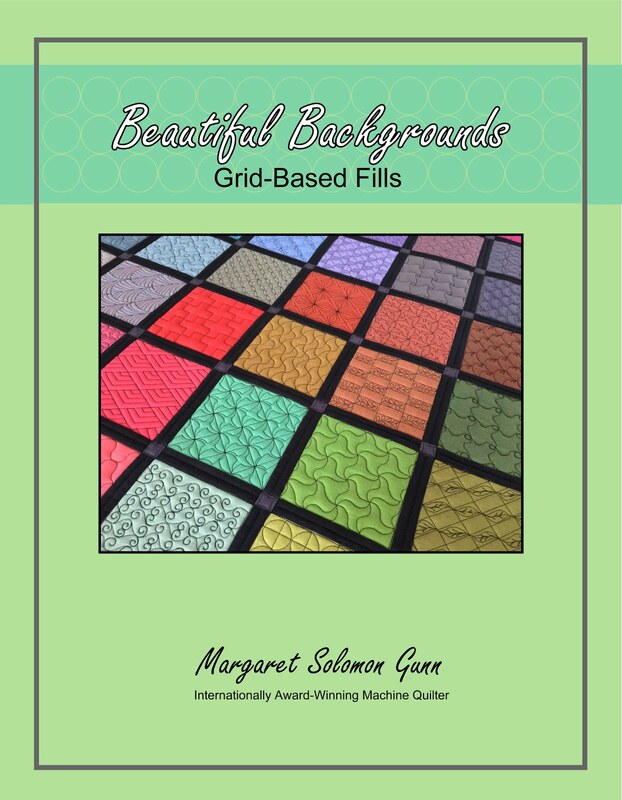 My goal was to create a quilt from solids that can be shown at quilt shows in a small quilt category (under 40" per side). Hindsight tells me that the Moda Crossweaves may have not been the best fabric to use. A batik or mostly solid would have been better. None the less, I am quilting the heck out of it, hoping that I will like it better in the end. After today, I have a sore back and wrists, but no added love! 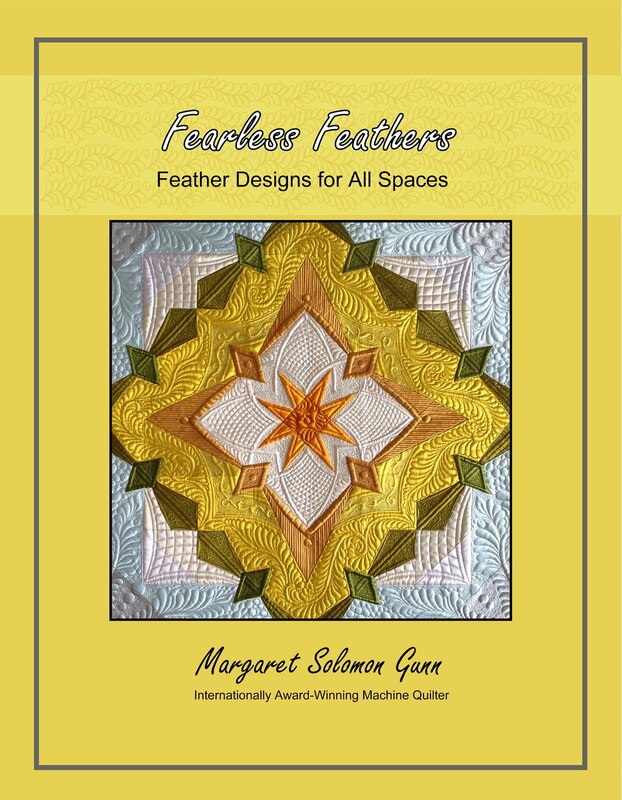 Yesterday I went to A Quilter's Gathering show in Manchester, NH. 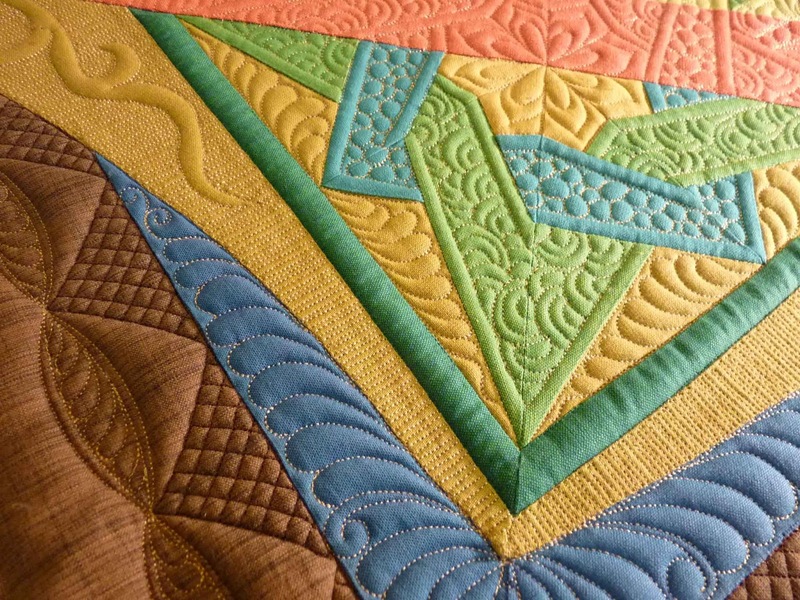 I had 3 quilts there, but only Zen Garden brought home quilt bling. It was the only quilt to receive more than 2 ribbons, so that's pretty cool. 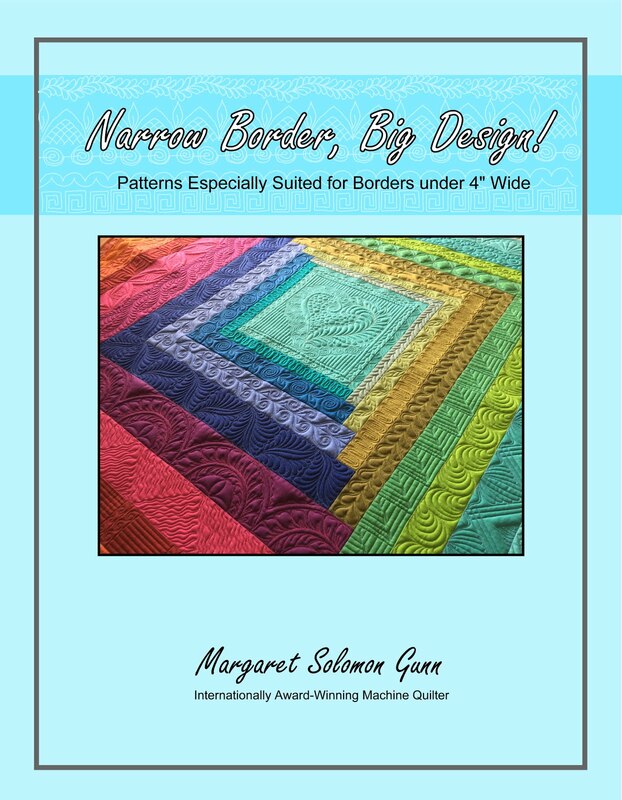 It received 1st in Color Compatibility, 2nd in Machine Quilting Excellence and 2nd in Overall Craftsmanship. 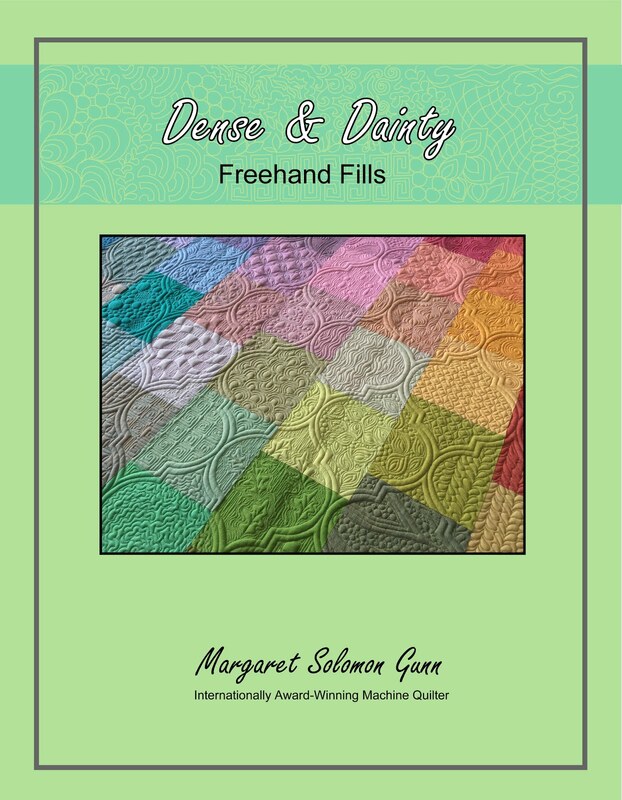 This is a smaller show, but it attracts some pretty big name quilters, both hand and machine quilters. 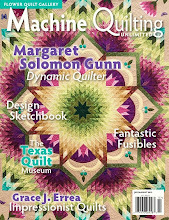 Several of them I know from the machine quilting show circuit. Since I posted many of my pics to my Facebook page, I won't repost them here. Best of Show was another Linda Roy hand quilted masterpiece. Seems it was one of her's that won last year too. It was fun getting to meet The Megan Farkas - even if it happened because I overheard a conversation where my name was mentioned. I'm not nosey...just curious! For those of you that don't know Megan, her quilt is the one here of the Japanese Ladies (maybe you've seen it in a magazine...). 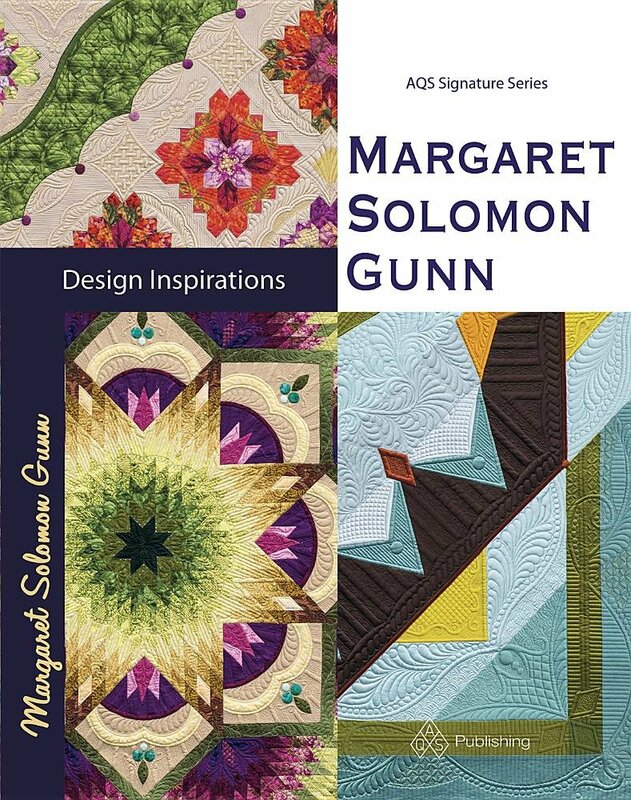 I'm a fan of her quilts. Yesterday was interesting listening to the much divided discussions over crystals on quilts. I don't remember too many of them in the show that were twinkled up, but Zen Garden does have lots of very tiny crystals - 3mm ones. It just twinkled because it was hanging beneath a bright light fixture and a skylight. It almost seemed that the guests had been listening to the pre-election crap too long. The crystal-no crystal discussion was taking on an election tone. None the less, this quilt was appreciated and it was fin talking to people about it's making. 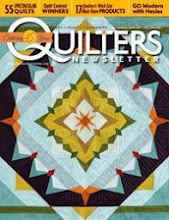 The quilt shows for 2012 are over now, and the planning for 2013 is in progress.